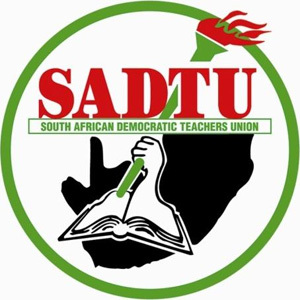 That’s according to Mugwena Maluleke, general secretary of the South African Democratic Teachers' Union (SADTU), the biggest union in the Government Employment Pension Fund. The fund, via its asset manager the Public Investment Corporation, owns about 10% of the shares in global furniture retailer Steinhoff. On Monday the group's board announced it would not release its full year financial results on time due to a German criminal and tax investigation. On Tuesday afternoon came the abrupt resignation of its CEO, Markus Jooste, and news of an internal probe by PwC, which caused its share price to plummet. “The GEPF was also shocked like all the others,” said Maluleke. He said the drop in the share price – it is down about 80% since Wednesday morning - would affect the GEPF’s the investment portfolio as a whole. “The investment is almost about 2.8% of the total assets [of the fund],” he said. “That particular impact is going to be felt in the longer term, instead of right here. Because clearly it has an impact on the increases that the pensioners would receive." Maluluke said he hoped to see these “particular skelms” jailed. There are currently four separate investigations into Steinhoff. The Financial Services Board and the Johannesburg Stock Exchange are both investigating what took place. Finance Minister Malusi Gigaba, meanwhile, said on Thursday he would be having having “discussions” with the Independent Regulatory Board for Auditors to assess “any likely lapses in financial and auditing reporting”. “As a listed company on the Johannesburg Stock Exchange [with its primary listing on the Frankfurt Stock Exchange], investors rightly expect the highest degree of honesty and integrity in the financial statements and reports of companies such as Steinhoff, to protect investors from market abuse and manipulation,” said Gigaba. On Tuesday the global retailer's supervisory board also announced that PwC would be carrying out an internal investigation into the firm's books, after "accounting irregularities requiring further investigation" came to light. People associated with Steinhoff are also the subject of a separate probe by Germa authorities . The public prosecutor's office of Oldenburg in Germany told Fin24 on Thursday in a statement that “four current and former managers of a group” are being investigated for possible accounting fraud. The statement said the balance sheet of the company in question may have been inflated. It added that police were still evaluating data seized in searches.